You may have heard that you have to avoid certain things if you want your teeth to be as white as possible. People looking for whiter teeth are sometimes urged to avoid soda, tea and coffee. However, when it comes to green tea, the benefits to your teeth probably outweigh the risks. It has been discovered that drinking green tea reduces your chances of developing gum disease and other dental problems. You also have less chance of developing tooth decay if you drink plenty of green tea. If you want to get a natural source of fluoride, you get some of this from green tea. So avoiding green tea out of fear it will stain your teeth doesn’t make too much sense. If you brush regularly and get your teeth cleaned at least twice per year, this shouldn’t be a concern. You can improve the health of your teeth and mouth by giving them proper care and by avoiding the kind of mistakes we’ve described in this article. The problem with things like tooth decay and gum disease is that you don’t feel the symptoms right away. How about your kids if you have them? You need to set the example for them and also teach them to care for their teeth. 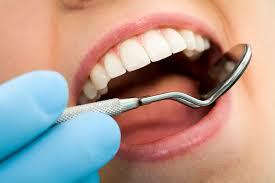 Proper oral healthcare is an investment in your health and quality of life later on.